Renowned combatives instructor and self defense writer, Neal Martin presents his no nonsense, practical and highly effective approach to self defense in his bestselling book series. Everything you need to know about self defense and combatives in one place! Reviews: "…a book extrapolated from real world experience that is based on reality and not academic theory." "…what you read here could very well save your life someday." 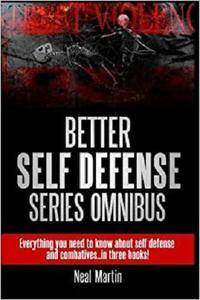 "…the ONLY book I've read that has given me any real confidence in my ability to defend myself properly. GET IT." How to sharpen your awareness skills and stay "switched on"
By the time you finish reading this book you will have a complete self defense game plan in place and you will know more about how to protect yourself than most people out there—even the ones who train in self defense already! Do you want better results from your self defense training? If you do then you need to change your approach to your training. How you approach your combatives training will determine whether or not you end up GETTING GOOD RESULTS, or whether you end up wasting your time. This book will help you define a way to approach and conduct certain aspects of your training so that you can ACHIEVE THE RESULTS YOU ARE LOOKING FOR. 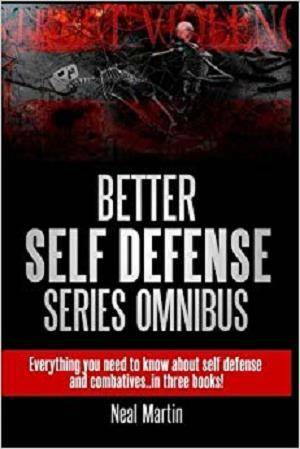 If you are serious about learning how to properly defend yourself against violence, and if you are serious about your training, then you will get a lot out of this book. If you are not serious however, don't bother reading this book, as you will gain little from it. The only way you will get better results from your training is to train…a lot. And to train in the right way, as THIS BOOK WILL SHOW YOU HOW. And a lot more… If you want REAL RESULTS from your self defense training, these books will help you achieve those results.